Smokey and the Bandit. Convoy. BJ and the Bear. Estipona Group. What do these all have in common? They all have something to do with truckers, duh. 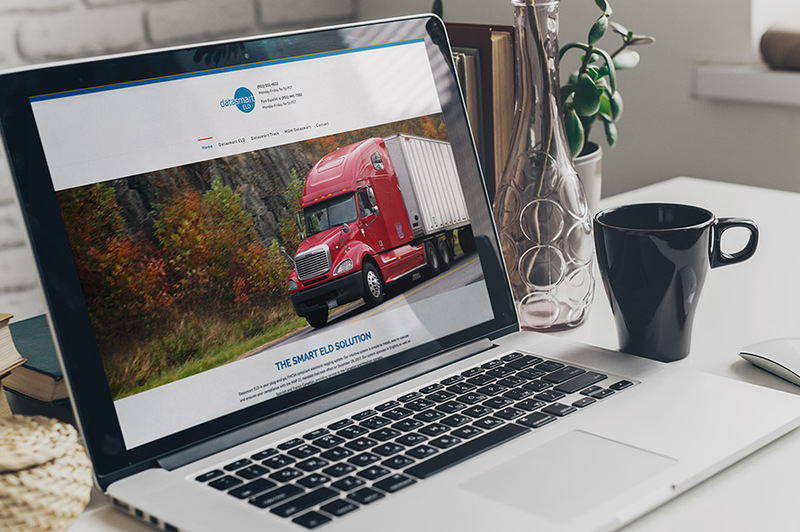 And while we at the Estipona Group never thought we’d be working in the trucking industry, this is one of the coolest parts of our jobs: getting to dabble in all sorts of industries — without actually having to do the actual (and usually tough) work of the business. Anyhow, please allow us to tell you about M2M Datasmart. M2M Datasmart has developed an electronic logging device that tracks truckers’ time behind the wheel called Datasmart ELD. They came to us looking for help marketing their product to independent truckers and fleet managers. In addition to being a convenient way to replace paper logs, use of electronic logs is actually a federal mandate that went into effect in December of 2017. So we had to wind ‘er up and let ‘er go c’mon – in other words, pick up the pace. The client had a website that needed some cleaning up to make it work smarter for them without incurring the cost of full site rebuild. Working through their existing website builder, we simplified the site content for the target user, added specific product information and pricing, and developed a more useful contact form. M2M Datasmart was also looking for a video to help demonstrate the simplicity of their technology-based product. It takes five minutes to install and deploy the Datasmart ELD system in a big rig. We worked with videographer Mike Henderson of Arborglyph to shoot and edit the video. Mike used a Sony a7S with a CAME 3 Axis Gimbal to shoot the majority of the spot. The final screen was shot with a DJI Phantom 3 Pro drone. A member of the M2M Datasmart leadership team served as the on-screen talent, installing and using the system, and another team member provided voice over. A Spanish version of the video was also produced for their Mexican trucking market. Both voice overs were recorded at the Reno Collective. With a pressing deadline related to the federal mandate, we got down to business on this project, moving from script development to live video in about two weeks. All told, we helped a client create a useful video and made a website far more usable and efficient. And we may or may not have channeled Burt Reynolds in the process.